As I write this blog posting, I've got a pot of Chef Aj's Split Pea Soup with Sweet Potatoes cooking in my electric pressure cooker. It's an Instant Pot that I received as a gift from the company right before Chef Aj came to visit. Aj knew she would need an Instant Pot for the demo that she was performing in my kitchen and the Instant Pot company was more than happy to send me a complimentary one. Now that said, I would not promote a product that I do not fully believe in, just because I received one for free. I only have the time and energy to tell you guys about the good stuff! So it seems that quite a few HGK readers have purchased an Instant Pot since Aj's visit and my blog postings about the Instant Pot a few months ago. I've been using mine every single morning for breakfast, and a handful of other times for soups/stews, but I haven't used it much more than that (think potatoes, grains and other stuff). 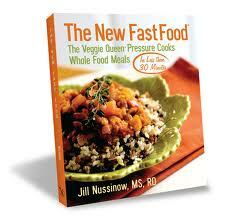 Well, all that is about to change, because Instant Pot has just published a free on-line cookbook. 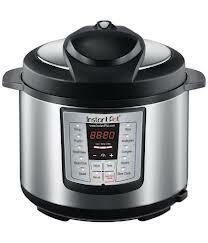 Related Post "Looking for Recipes for Your Instant Pot Electric Pressure Cooker? Or Some Confidence With It? Plus Another Fantastic Giveaway!"